Did you spot the only man who plays in the Greatest League In The World? Yes, well played Ashley Cole, not just the only Englishman in an XI dominated by Barcelona and Inter players, but also the only Premier League representative. Uefa nailed this XI. As dream teams go, it’s a frightening prospect, if sorely lacking a ball-winning mifielder (Cambiasso?). You can’t argue too hard against the selection, though I would like to see some love for Lucio. And although he lifted the World Cup in 2010, I wasn’t that impressed with Iker Casillas (he has had better years). So there you have it. More proof that the English Prem is THE BEST LEAGUE ON THE PLANET. Never let us forget that Lionel Messi would not fancy a trip to the Britannia Stadium on a wet Wednesday evening. 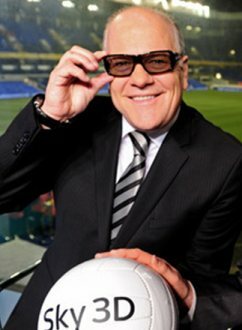 These magical Sky glasses allowed Andy to see into a parallell football world, one in which Steven Gerrard is the best box-to-box midfielder in the world, and Xavi does not even exist. Worth £30 a month surely. …and this after having not too great a season! Suprised at Crouch missing. Please tell me that Gray’s is a Premiership XI. Neville, Gerrard, Scholes, Giggs, WTF? Cambiasso? Mascherano or Busquets dude. Lucio should get some love, but which Barca center back will you take out? Also, Ashley, really??! He is the only one that seems out of place here, though i agree with your take on Casillas. From the premiership, only Van der Sar seems to have had a better year than Casillas. Valdes or Julio Cesar would be my picks to replace him. Agree with the Iker Casillas commentary. It doesn’t show the English premier league is the best in the world, it shows the Barcelona-Real Madrid league is the best in the world, and not la liga. Too many Barcelona players. UEFA should try looking a bit outside Spain, Italy & England. Outside Spain,etc as in lichtenstein, luxemburg, andorra?